SOUTH CHARLESTON, W.Va. - West Virginia's 2016–2017 migratory game bird seasons will begin Thursday, Sept. 1, 2016, with the opening of the early Canada goose and mourning dove seasons, according to the West Virginia Division of Natural Resources (DNR). “A great way to start off your hunting seasons is with a morning goose hunt and an afternoon dove hunt,” said DNR Wildlife Resources Section Chief Paul Johansen. The dove season is split into three segments with the first segment running from Sept. 1 to Oct. 15. Shooting hours Sept. 1 are noon to sunset. For the remainder of the season, it is a half-hour before sunrise to sunset. The daily bag limit is 15 birds. The early Canada goose season ends Sept. 10. Shooting hours are a half-hour before sunrise until sunset with a bag limit of five. All waterfowl hunters 16 years and older must possess a federal Migratory Bird Hunting and Conservation Stamp or “Duck Stamp.” Duck Stamps can be purchased from U.S. post offices or by calling 1-800-782-6724. All other general waterfowl hunting regulations apply to the September season. Federal regulations require all licensed migratory bird hunters (including lifetime and senior citizens) to register with the Migratory Bird Harvest Information Program (HIP) and carry proof of registration while hunting. HIP cards are free and available from DNR offices, all hunting license agents and online at www.wvhunt.com. Banded birds can be reported online at www.reportband.gov, now with a mobile version, or by calling 1-800-327-2263. Hunters may keep the band and will receive information on when and where the bird was banded. 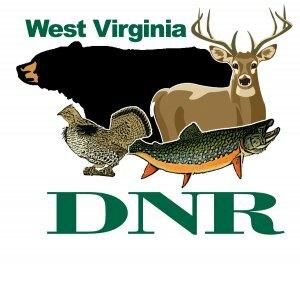 More information on West Virginia’s migratory game bird seasons can be found in the 2016-2017 West Virginia Migratory Bird Hunting Regulations which are available at DNR offices and on the DNR website at www.wvdnr.gov.